This is a great time for Valrico men, women and teens to get a deep teeth cleaning and teeth whitening at Five Star Dental Care in Valrico. With a deep cleaning followed by teeth bleaching, your teeth will feel as good as they look. If you have an important upcoming event such as a Brandon wedding, Plant City party or formal family portrait sitting, a smile makeover will give you extra confidence as you pose for photos (even close-ups). 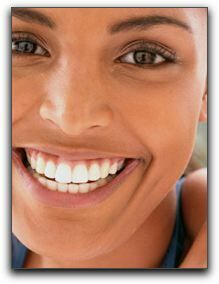 Valrico teeth whitening can whiten teeth beyond their natural shade. At our Valrico cosmetic dentistry practice, we don’t use a conventional shade chart for our Valrico whitening clients anymore. You have probably seen the porcelain tabs in graduated shades that Valrico tooth whitening dentists use to determine appropriate, yet natural looking, shades for tooth restorations. We now use a shade guide with levels significantly whiter than the guides we have used in the past. Tooth whitening is not a gimmick; it is safe and incredibly effective. Valrico tooth whitening clients can maintain a white shade that equals the brightness of the ‘tooth’ models you see in dental marketing. Florida tooth whitening following twice-yearly cleanings is the most affordable cosmetic dentistry procedure. Teeth bleaching in Valrico is comparable to the cost of a professional hair weaving and cut, but when you consider the transformation; there is no comparison! Flash your gorgeous, sparkling smile, and no one will even notice your hair. This entry was posted on Friday, May 20th, 2011 at 9:37 pm	and is filed under Tooth Whitening. You can follow any responses to this entry through the RSS 2.0 feed. Both comments and pings are currently closed.